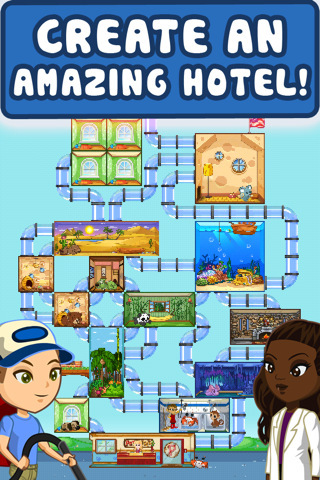 One of the most popular free iPhone games on the App Store, Tap Pet Hotel is all about managing a hotel for pets. 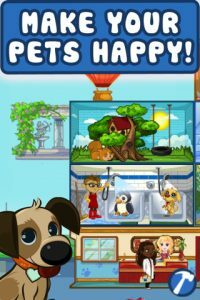 Developed by Pocket Gems, Tap Pet Hotel features 60+ different rooms, each with different themes, shapes and sizes as well as more than 50 different types of pets, from little puppy dogs to pandas and dragons. You basically start with the ground floor of your new hotel, and expand by stacking rooms further and further skyward. 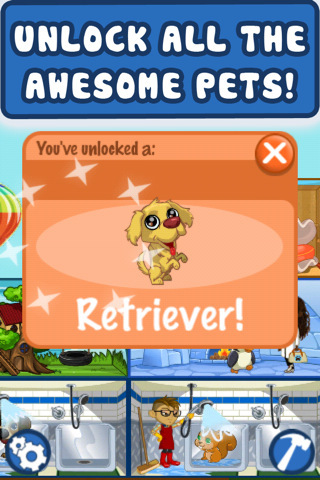 The more rooms you build, the more income you can generate and the more pets you can unlock. 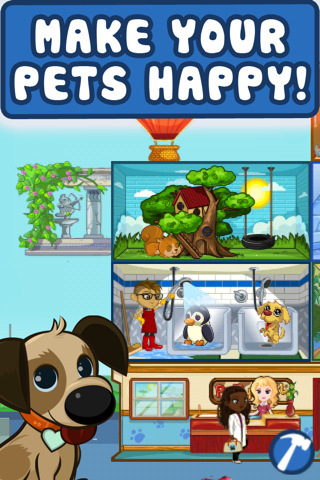 Some rooms offer various pet-oriented services, such as washing, feeding, and exercise. Building these rooms generates money as well as a nice XP boost. Like nearly all games of this type, you have to return frequently to collect your cash so that you can continue to play the game. If you want to speed up the process, it’s going to cost you extra (real) $$ to purchase coins and ‘treats’. As far as social features are concerned, Tap Pet Hotel is pretty light on compared with other games in the genre. You can visit a neighbor, which is actually just a random player, and take a look at their hotel, but there’s not really much to do. You can’t really do anything else. 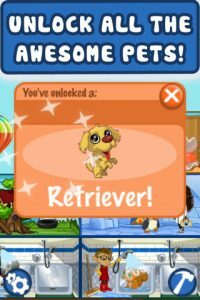 There’s no trading or sharing of pets, rooms or items. 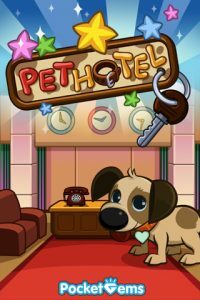 Bottom Line: Tap Pet Hotel offers cute animals and simple gameplay, but it’s plagued by the fact that the game’s economy is rigged to encourage the need to shell out real cash to buy virtual treats.